The process of handling complaints related to products and services within an organisation is often complex, but the ISO 10002: 2004 is a helpful guide to manage such procedures. The complaints handling process is one component of an all-encompassing quality management system. The international standard outlines how to plan a complaints management and satisfaction system, including how to implement, maintain and improve upon the system put in place. The standard can be applied for various type of organisations, by industry and size. However, resolution outside of the organisation or for employment related disputed would need to refer to documentation beyond the standard. 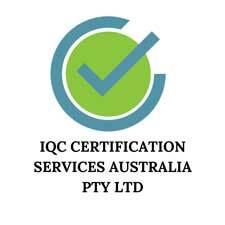 IQC is a registered issuer of certificates of compliance when the satisfactory compliance standards and documented procedures are met. Click here to enquire about the ISO 10002.